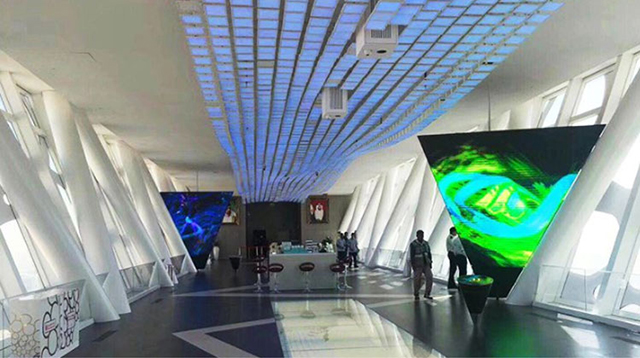 Project features: High-definition LED display applications, ARC display technology and dual backup technology application. 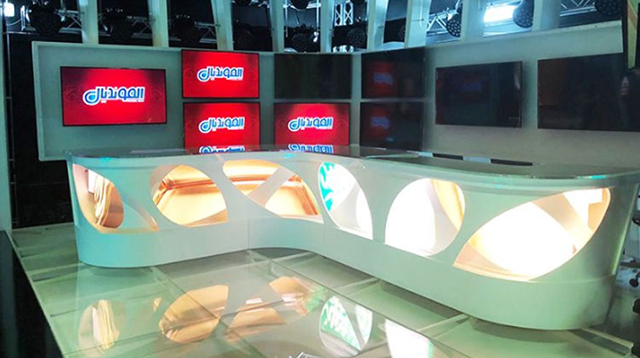 Abu Dhabi Television is one of the most important television studios in the Arabic region, and for this important project, DGX fully integrated its own strategic advantages and customer needs, established the Dubai branch-led special team, to develop a detailed feasibility plan. The entire studio core display area is the 1.2mm small pitch Ultra HD display. The background is an arc-shaped surround design. The 90 square meters of indoor 6mm display as the display carrier of the background area. As the focus of the studio, the host and guests seating area, using a dynamic streamline design program to create a unique host table and interactive bar, The special-shaped screen scheme adopts P2.5 high-definition display, and the interactive step part adopts P4 indoor full color display. 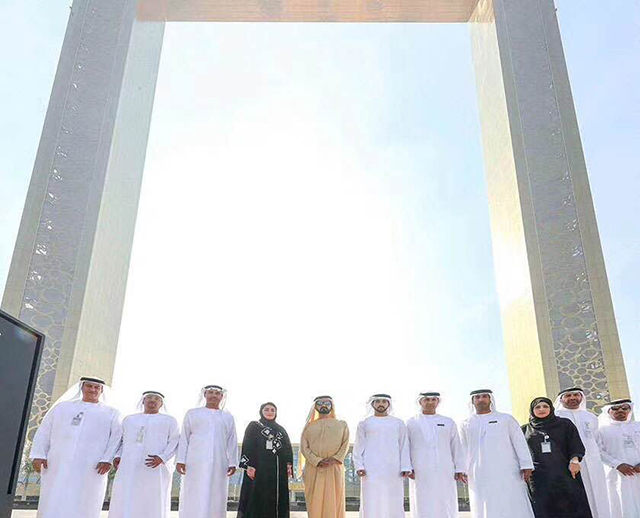 In addition, DGX`s creative LED screen settled in the Dubai gate, and was personally inspected by the UAE king.